When this card enters play, an opponent loses 1 action token. "Never again." 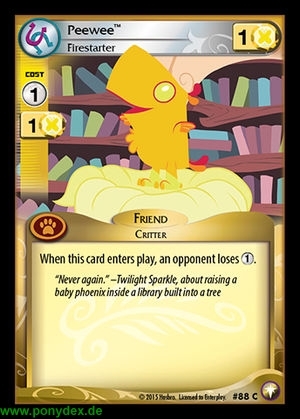 - Twilight Sparkle, about raising a baby phoenix inside a library built into a tree.